When you are dealing with SEO then the points which comes into consideration are keywords,meta keywords, meta description and many more. 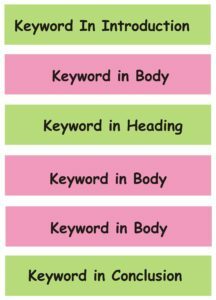 Keywords are the foundation for any blog post. Even Social Media like Pinterest also depends on proper keyword research seo process to display your pin in other’s feed. Keyword research is most important while trying to get some organic traffic. Keyword research should be performed before writing any post. Any niche blog, having well researched keywords, rank well in search engines. There are many SEO techniques and keyword research stands tall among them. If you can not do your keyword research analysis right then the other SEO techniques will not perform that well. Keywords are the targeted words which you use all through out your posts. These are the words which helps your posts to rank in search engines (for that particular word). So until and unless you do your keyword research well it is not possible to know which words are the most searched in search engines. The most common keywords generally have high competition from top blogs. If our blog is new, then we will not be able to compete with the high authority blogs as they are already popular & have too many backlinks pointing towards them (which tells Google that they are worthy sites & display them on Page 1). We can search for the keywords which have moderate or low search volumes. Which will make it easier for us to rank in search engines. My post is about animation. My goal is to keep my primary keyword as ‘animation tutorial’. Next I will search for the term ‘animation tutorial’ in keyword planner. As we can see, the term ‘animation tutorial’ has a high search volume of 10k monthly. So my next step is to find the number of search results. I am putting my desired keyword in google search. As I can see, there is more than a million of search results. As a new blogger I can never compete with such a high volume. So I must be setting my keyword in such a way which has a fair search volume but with moderate number of search results. When you are dealing with SEO then the points which come into consideration are keywords, meta keywords, meta description and many more. 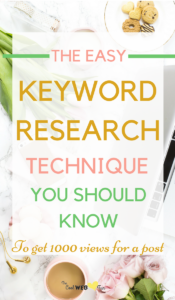 Keywords are the foundation for any blog post. Even Social Media like Pinterest also depends on proper keyword research process to display your pin in other’s feed. Keyword research is most important while trying to get some organic traffic. Keyword research should be performed before writing any post. Any niche blog, having well-researched keywords, rank well in search engines. There are many SEO techniques and keyword research stands tall among them. If you can not do your keyword research analysis right then the other SEO techniques will not perform that well. 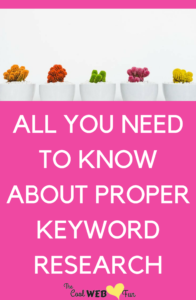 Keywords are the targeted words which you use all throughout your posts. These are the words which help your posts to rank in search engines (for that particular word). So until and unless you do your keyword research well it is not possible to know which words are the most searched in search engines. The most common keywords generally have high competition from top blogs. If our blog is new, then we will not be able to compete with the high authority blogs as they are already popular & have too many backlinks pointing towards them (which tells Google that they are worthy sites & display them on Page 1). My post is about animation. My goal is to keep my primary keyword as ‘animation tutorial’. Next, I am searching for the term ‘animation tutorial’ in keyword planner. I am putting my desired keyword in a google search. As I can see, there is more than a million of search results. As a new blogger, I can never compete with such a high volume. So I must be setting my keyword in such a way which has a fair search volume but with a moderate number of search results. Hence instead of only ‘animation tutorial’ I searched for ‘ how to animate for beginners’. Now drastically the search volume has reduced to 1000. As few people searches which such a long tail keyword. But when I searched for the number of search results, that showed only 45000. 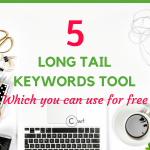 So this long tail keyword is perfect for me as a beginner, as here I have chances to rank my post on page 1. There are several keyword research tools which will give you an estimate of the monthly search volumes. I would definitely recommend starting using google ad-words keyword search tool. In keyword planner tool you can even set your preference to display the most searched words in descending order. 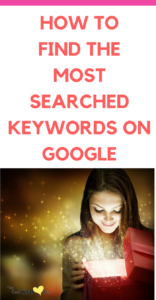 There are other popular keyword tools both paid and free which will give the average monthly searches. It is beneficial to use the long tail keywords which will definitely benefit you to stand out in the crowd. 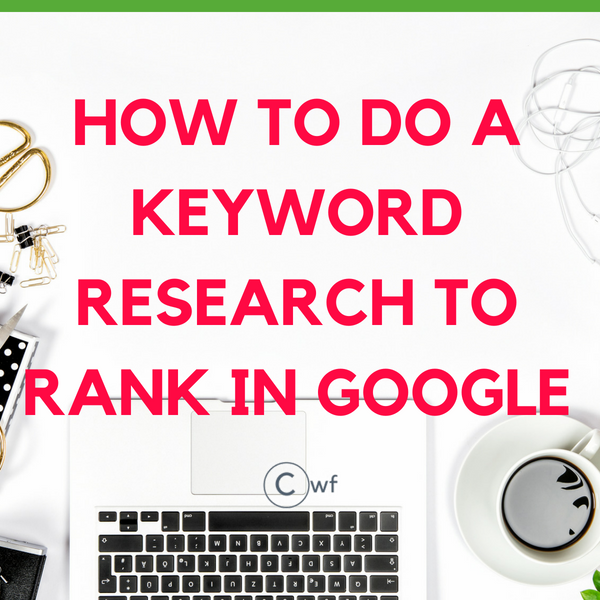 Long tail keywords generally have low search volumes so when someone searches for a particular set of keywords then your post can outrank other web pages if you have used the same or similar phrase or keyword. HOW TO PUT KEYWORDS IN A POST? Keywords when used in the optimal range then it can affect SEO positively. Overusing of same keywords also may lead to keyword spamming. After you have chosen your keyword then you should write your post targeting that word. DO NOT ever force the keyword in your post. Your keyword should come naturally. Some easy ways to put your keyword is by writing an introduction and conclusion using your keyword. When I am selecting a particular keyword then I hope my keyword will be mentioned 2-3 times in the entire post. So in total, I am using the keyword 5-6 times in a 1000 words article; which is good enough but using the same long phrases over and over again will annoy your users. So, you have to keep a balance between using proper keyword density and spamming with keywords. I recommend installing Yoast SEO which gives a vivid content analysis. This content analysis will give you an idea of your keyword performance. Give time to keyword research marketing. 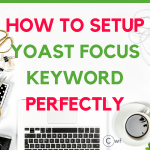 Correct focus keyword with low competition and high volume searches will give your blog post over 1000 of views. Do not be in a hurry to publish contents. A well-researched topic with proper keyword optimization will always rank well. 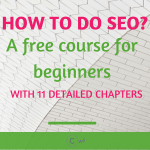 If you want to know more about SEO, I would like you to check Scrivs Billionaire Blog club. It is much much more worth the price. I wish I would have come to his community when I just started. This was really helpful! I’m always so lost when it comes to SEO and keywords. Thanks for the resources! Very helpful. Keywords are still important (and they’ll remain so). Just got to be careful about not stuffing them. This was EXTREMELY helpful! Thank you so much for this straightforward post!